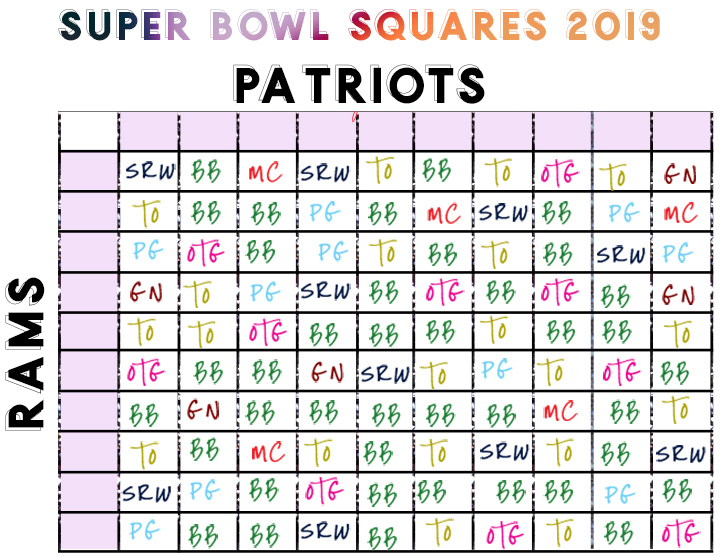 Every year I do Super Bowl Squares here on VTIM and the time has finally come for Super Bowl Squares 2019 for Super Bowl 53, New England Patriots vs the LA Rams! 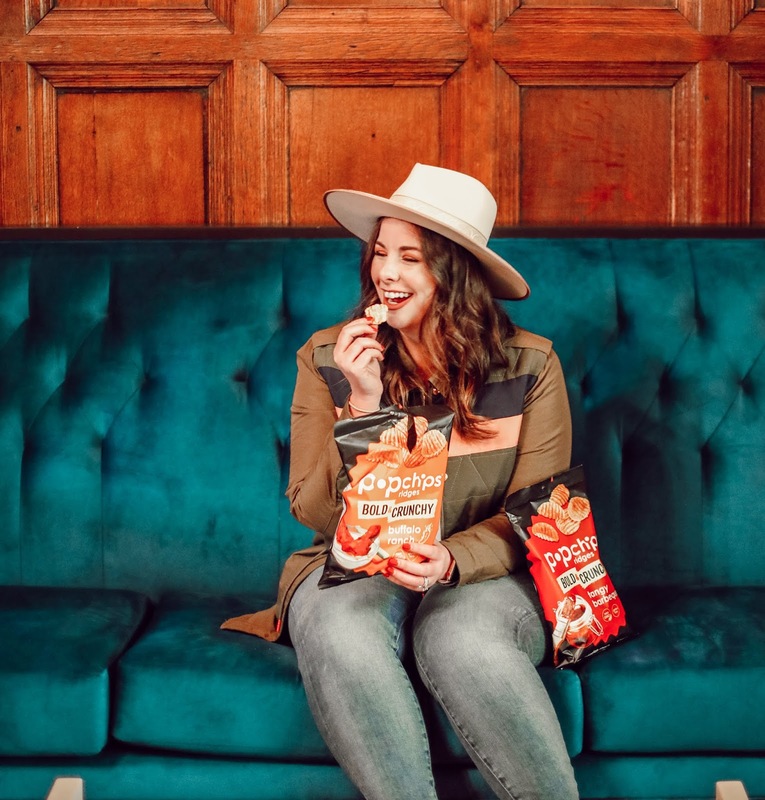 This year's Super Bowl Squares post is sponsored by one of MY FAVORITE snacks of all time, popchips! I've seen so many bloggers on instagram doing the "empty bottle challenge" where they prove to you that they actually use the products they endorse. 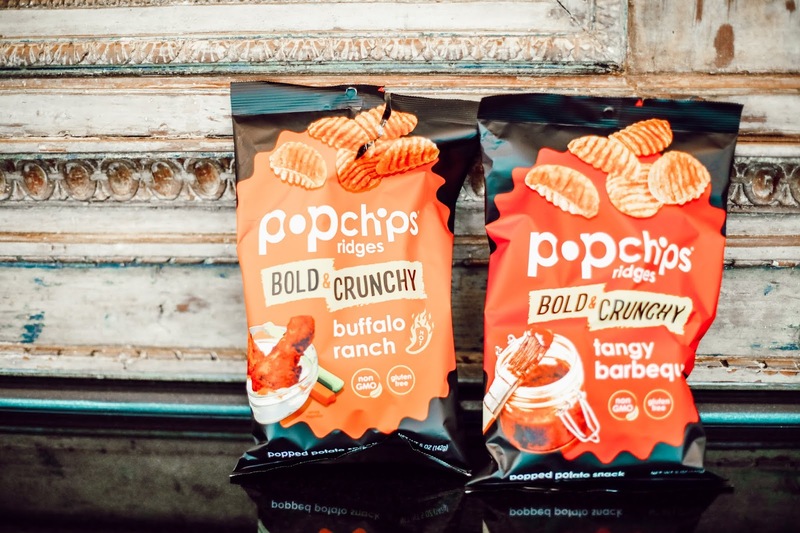 Last year, I worked with the popchips team and it was the first time I had ever heard of the company. Last year they sent me about 15 bags of popchips and I thought, good lord I'll never eat all of these. Over the last year I'd pack a small ziplock bag of popchips and have them on hand, in the right serving size, in case I got hungry at work. When they asked to work together again, I was giddy. YES SEND ME MORE popchips I NEED MY FIX! I love having better-for-you snacks on hand at work for when I get hungry, so that I don't make poor decisions. By poor decisions - I mean the constant, never ending supply of sweets in the office. I work in a hotel for goodness sakes, there is ALWAYS extra food floating around. Extra delicious food that is very hard to turn down if I don't have something else to turn to. 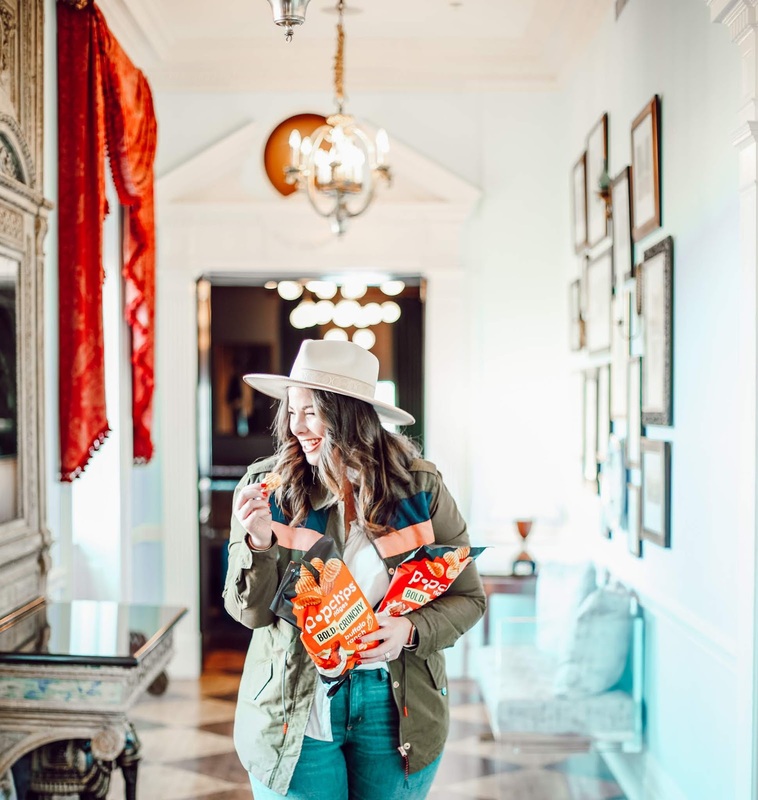 It's such a great option to have out as a Super Bowl snack because it balances out some of those unhealthier options you have at your fingertips. Read also: queso, seven layer dip, ranch, pizza, burgers, junk, junk and more junk. For the record, I do love junk. But it's nice to know that I am walking in to this year's party knowing there's a more sensible option available. Hey, I do have a Mexico trip coming up after all! I'm not suggesting to ditch the queso - hell no, this is TEXAS! 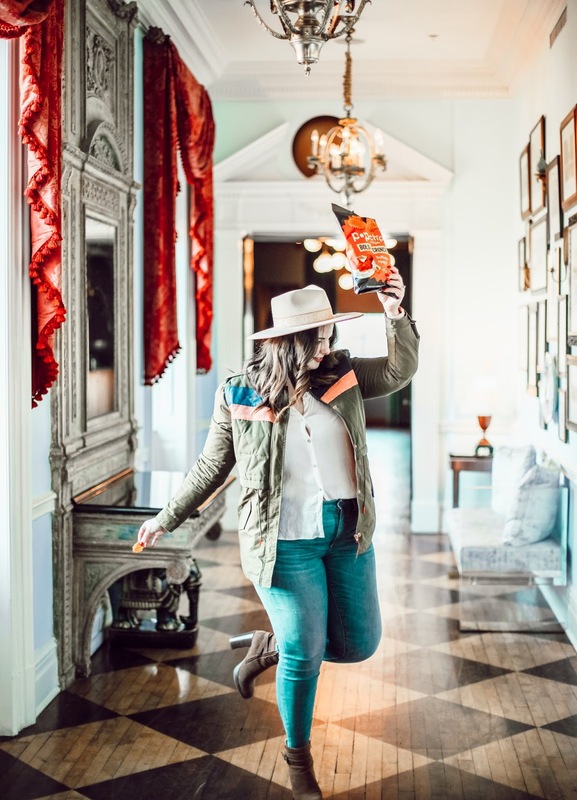 Queso is LYFE during the game, but maybe instead of tortilla chips, try switching it out for new ridges popchips. 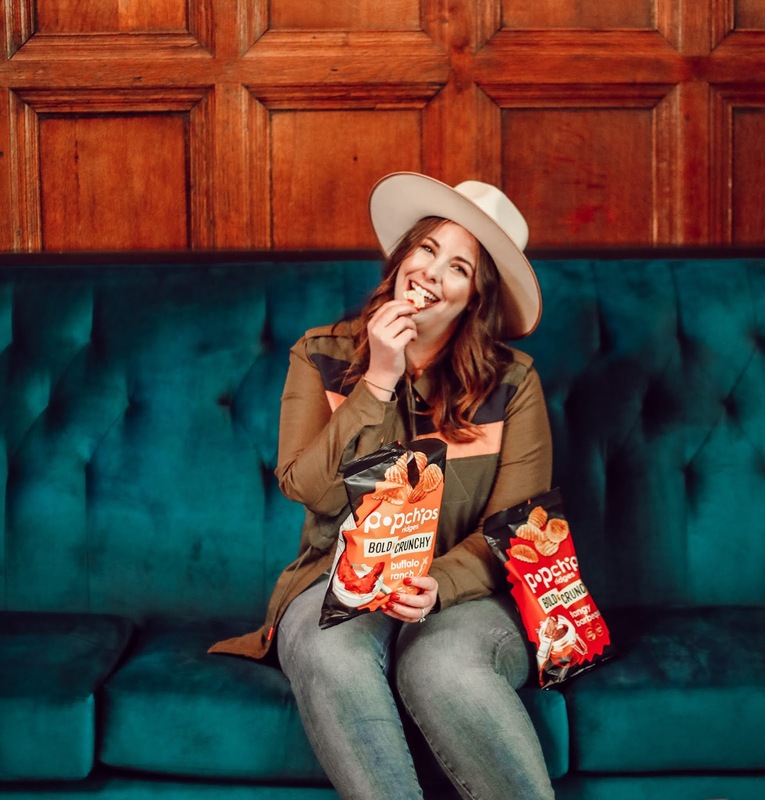 Just in time for Sunday's game, they just launched new ridges packaging (available in Buffalo Ranch, Cheddar and Sour Cream and Tangy Barbecue) and they're a sturdier chip that's perfect for dipping. You'll legit enjoy it just as much, and save a ton of calories along the way. They are available in ten flavors, and are never fried - containing only real ingredients. The best part, less than 130 calories per serving! 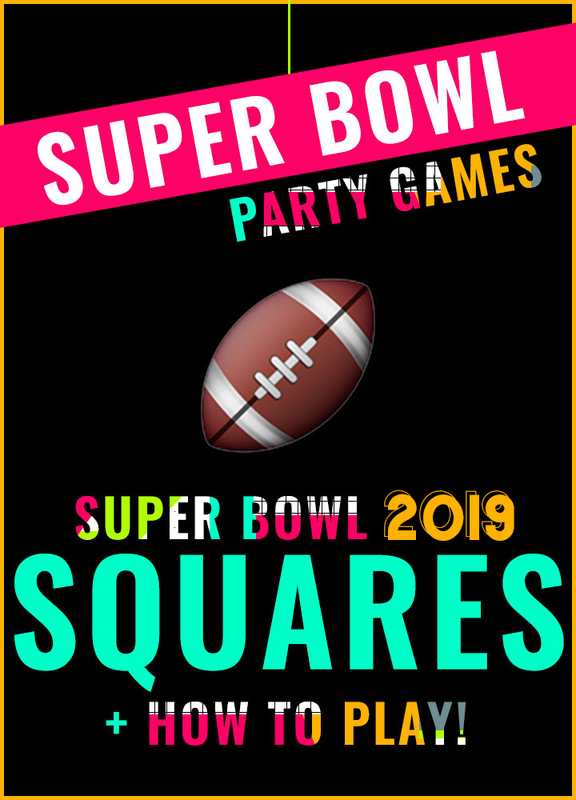 Ok, now that you're all snacked-up, let's get started with the one game you MUST HAVE at your Super Bowl party... Super Bowl Squares 2019 for Super Bowl 53 || New England Patriots vs. LA Rams. 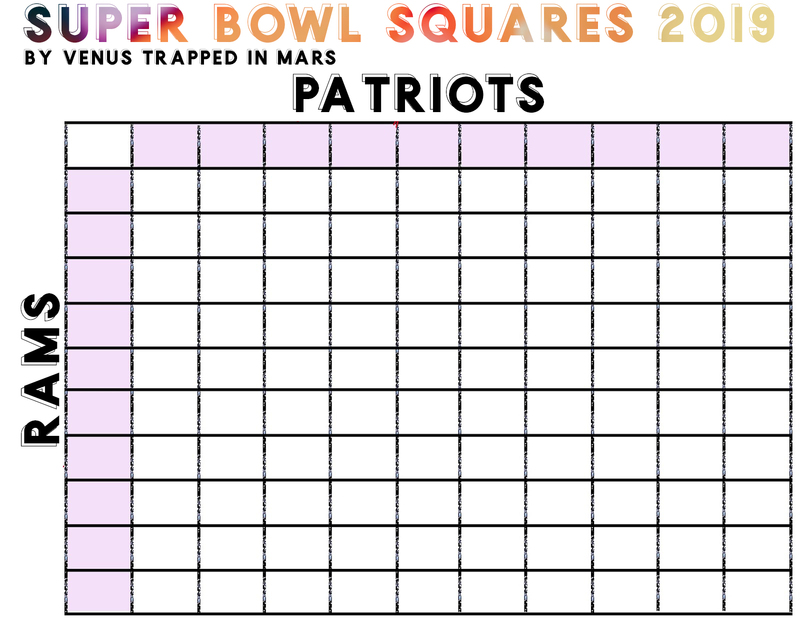 This post includes the free blank printable version of Super Bowl Squares 2019 as well as instructions on how to play Super Bowl Squares. Step 1 || Determine the cost of each square. To keep things simple, I'd recommend just $1 per square. Step 3 || After all of the white squares are purchased, the host will write the numbers 0-9 in random order in the shaded squares across the top of the board. The host will then write 0-9 again in the shaded squares vertically down the page. Step 4 || You'll have 4 total winners throughout the game, so divide your money 4 ways. Step 5 || Find your winners. 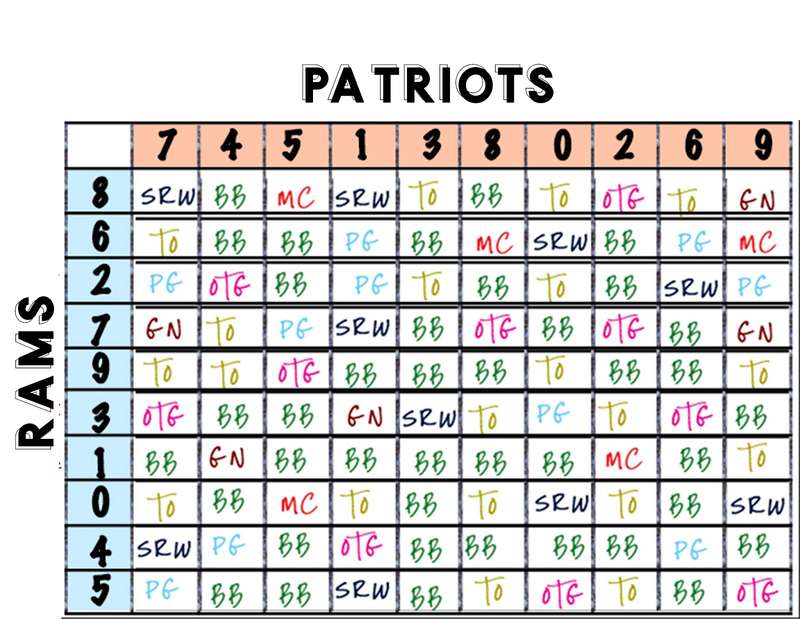 At the end of each quarter, half and finish of the game, match the last digit of the Patriots score, and the last digit of the Rams score to find your winner. Our next step is to randomly list our numbers across the top and down the side. We sit down and start shoveling cheese dip and popchips into our belly, while watching the game. The first quarter ends, and the score is Rams 7 - Patriots 3. 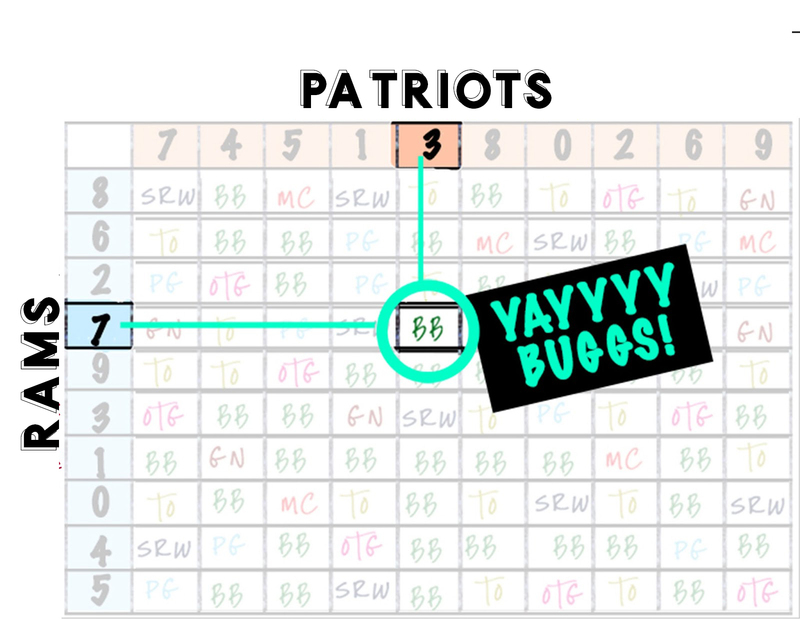 Find 7 on Rams' side, and 3 on Patriots' side, then you find your winner! And Buggs is your first quarter winner! Yay Buggs, get it! Any questions??! I'm here to help! *Warning* Always play with ice cold (Miller light) beer! And of course drink responsibly and junk. Thank you to popchips for sponsoring this post, and to all of the brands the support Venus Trapped in Mars! All thoughts and opinions are my own!